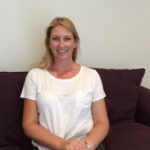 Melanie has owned Belle Chic since 2002 after qualifying in 1998 and in that time has built a healthy reputation in Hungerford and the surrounding areas for customer service and offering the latest in beauty and holistic treatments. Siding with the more natural approach to enhancing women, men and teenagers self esteem with therapy, Mel is continually training to stay up to date with industry trends, “every day’s a school day”. Beauty treatments offered: Dermalogica facials, DermaCo Micro-current lifting facial, firm tissue massage, electrolysis, ear piercing, Outback Organic warm and Hot intimate waxing, Jessica manicures and pedicures & GELeration, eyelash tinting and lifting, micro-dermabrasion, Sun Escape spray tan, lash lifing. Appointments available with Melanie: Monday and Wednesday, Thursday & Saturday. Beauty treatments offered: Warm & Hot Waxing, Jessica® Manicures and Pedicures & Geleration, Dermalogica facials, Sun Escape Spray Tanning, Massage. Holistic treatments offered by Claire: Indian Head Massage, Reflexology Massage and Aromatherapy Massage. Claire has been with the salon for more than 10 years and as well as an excellent beauty therapy she’s a farmers daughter at heart. Beauty treatments offered: Outback Organics Warm Waxing, Hot wax, Jessica® Manicures, Pedicures & Geleration, Tinting, Dermalogica facials, ® Sun Escape Spray tanning , lash lifting and electrolysis. Appointments available: Monday, Tuesday, Wednesday, Thursday and Friday. Felicity is a loyal member of the team and has been at Belle Chic since 2010 after working in New Zealand and has over 10 year’s experience. 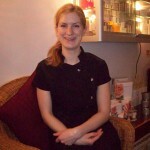 Felicity is our nail queen but also loves doing Dermalogica facials and waxing. Felicity likes to keep her training up to date and regularly attends further training to enhance her skills. Qualified to Level 2 Beauty therapy. Beauty treatments offered: Warm/hot Waxing, Jessica® Manicures and Pedicures and GELeration, Eyelash Tinting, Facials, ® Sun Escape Spray Tanning, lash lifting, LavaShelll Massage and Swedish Massage. Alison has been part of the Belle chic team for 7+ years, with a small break to bring up her children. 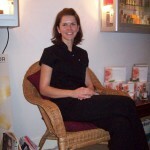 Alison specialises in Massage treatments. Appointments available Mondays (10-3) Tuesday (10-3) Thursday (10-3)Friday (10-3). Kelly joined the team in November 2014 and has a wealth of Nail and beauty industry experience. She is the glue that keeps the salon running smoothly and her knowledge and experience within the industry is a real asset to the team.